“THE GIFT OF A LIFETIME”… Graeagle is just that. 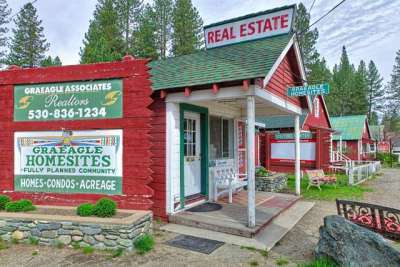 Located in the heart of the Mohawk Valley in Eastern Plumas County “Graeagle celebrates over 50 years of building Friendships, Families… and a Community”! Graeagle is the perfect mountain community where “family-time” and “me-time” co-exist beautifully. Created and thoughtfully planned, six subdivisions offer something for everyone. All Homesite lots range in size from 1/3 acre to 1/2 acre lots. Paved roads are county maintained, pristine water to each site as well as power and phone. All homesites require individual septic/leachfields. Surrounded by 1,000,000 acres of Plumas National Forest, and The Tahoe National Forest, Lakes Basin Recreation Area and the Wild and Scenic Feather River – true nature abounds. Explore the many opportunities that await you!